10 Monterey Blvd in San Francisco, a structure built in 1910, has been home to RYS Architects since 2005. The above photos were taken in 1926 and 2018, respectively. 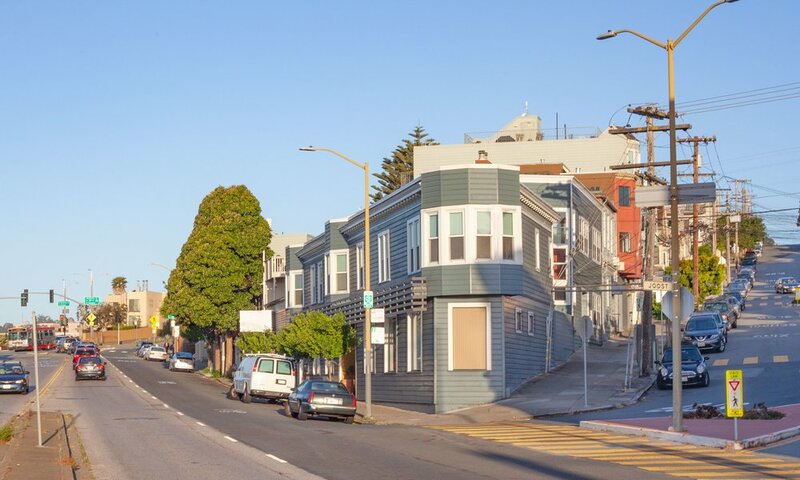 RYS is a San Francisco-based architectural firm specializing in hospitality, mixed-use, and multi-family projects. We provide full services from site feasibility conceptual planning, design, and planning department/governmental agency submittals through construction documents and the construction phase. Our projects range from local to national and international. In addition to our design skills, we offer counsel on the best suited exterior skin and structural framing systems, MEP systems, and acoustical considerations of different types of construction. We have in-depth experience with concrete, wood, and load-bearing metal stud buildings. Clients describe RYS as creative and solutions-oriented. Creative staff combine design talent with appropriate technology—including Revit and traditional CAD—to deliver projects with a high level of value to our clients. We have a reputation as experts in our field and enjoy a steady flow of work from repeat clients and referrals. RYS Architects has worked on the design of over 100 full-service, focused-service and extended-stay hotels. Recognized in the industry for our hospitality experience, we have been awarded membership on the Hilton Hotels Architect Roundtable in recognition of superior service to Hilton Hotels Corporation and its franchisees in the development of the Hilton Family of Hotels. We understand that delivering a successful project is of utmost importance to our clients. Every project on our boards gets the focused attention of our principals and our promise of personal service. The management of strong connections between architect, client, consultants, and contractor is the synergy our clients find invaluable.